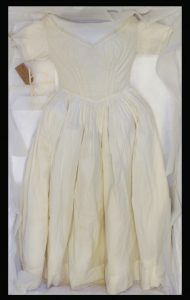 Queen Victoria’s petticoat wrapped up! 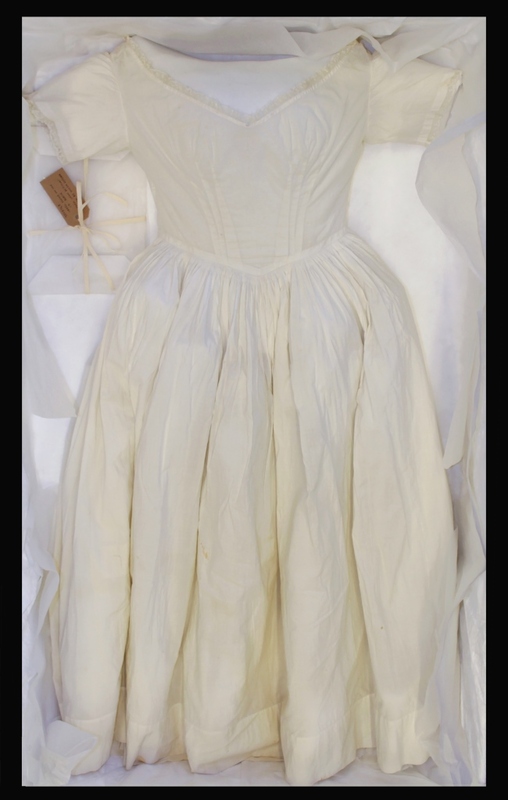 In the last post we saw how Queen Victoria’s petticoat has been conserved. It is now stable enough to be displayed and enjoyed by our visitors! However, for the time being, the petticoat will be carefully packed and stored within our Royal Ceremonial Dress Collection . Have you ever thought about why we store textiles? 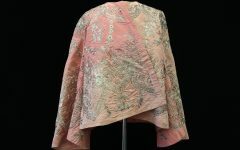 Objects, in particular textiles, are very light sensitive, and they cannot stay on display for very long at a time. Light can cause irreversible fading and photo-degradation of the fibres and, for this reason, we rotate the textiles on display to make sure they do not get too much light per hour and per year. It also offers opportunity to design and create new exhibitions! Storing an object away from light will help to prolong its life and we are lucky to have a fit-for-purpose store, where our Preventive Conservation team controls the temperature and humidity with the objects carefully packed in custom-made acid free boxes and catalogued by our Collections Management team. The packing is needed to protect the textile from creasing and potential damage but at the same time, it also needed to suggest the shape of the object. 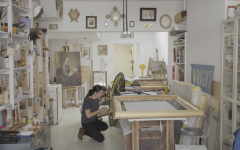 Internal and external visitors often study our collection and we need to make the petticoat safely accessible and enjoyable for the eye. 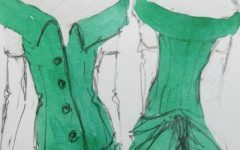 For this reason, we have created a bespoke storage mount out of Fosshape™ to support the bodice and also give the impression of how it would have looked when worn. Acid free tissue rolls have also been made to support the skirt. 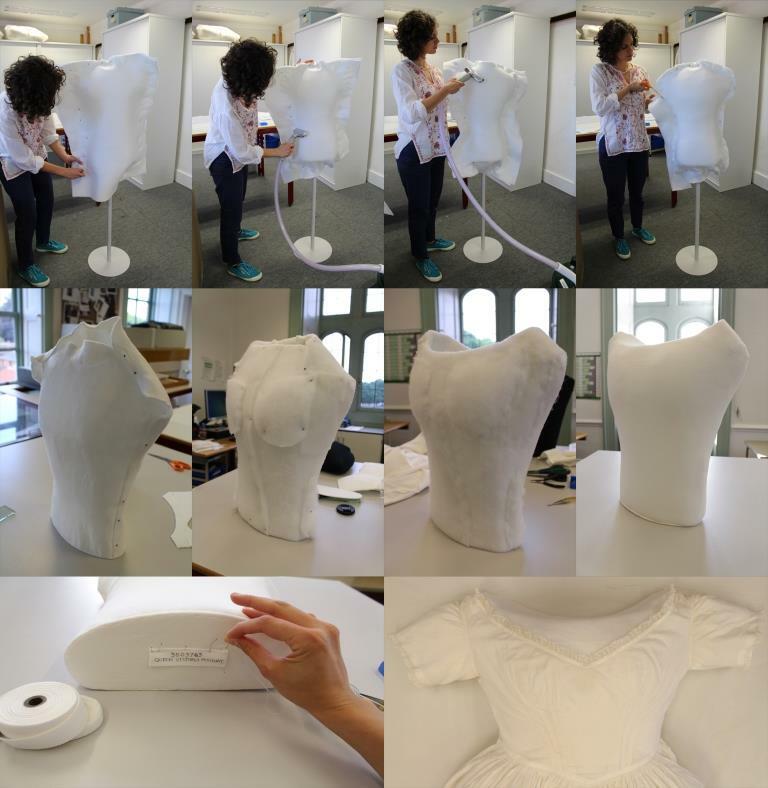 Have a look at the sequence below to see how we created the storage mount for Queen Victoria’s petticoat. Now the petticoat is ready to go in the box, wrapped up like a Christmas present. Don’t miss the incredible Queen Victoria objects and garments on display at Kensington Palace.